April is a month for fools! From words that refer to natural phenomenon that have misled us to words to describe the things we do to make fools of others, this month I’ll explore words to do with some sort of trickery. Anancy is always up to something. With disguises and other clever tools to fool those around him, he survives against the odds using his wits. 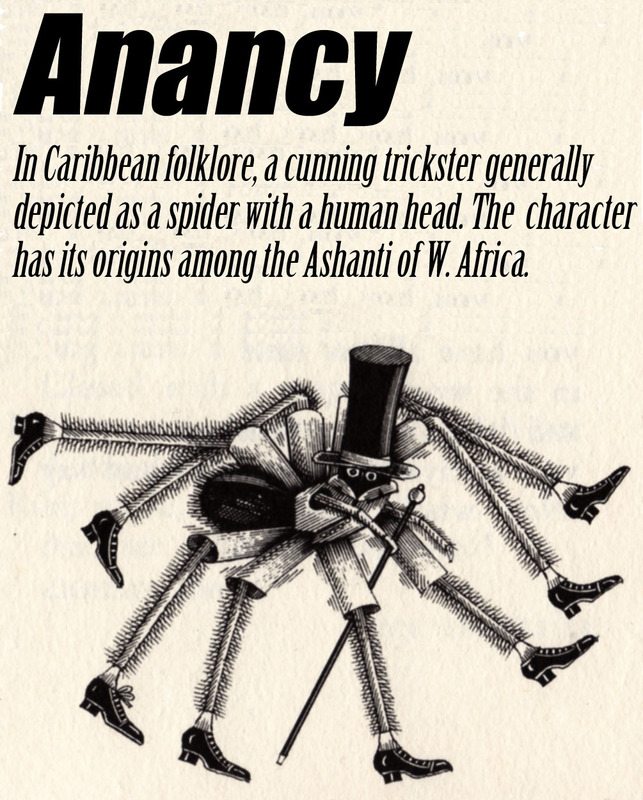 Unlike other tricksters, Anancy is an adaptable hero. In tales he outwits lions, fish, even Death.